For the past 10 years or so, one or more of my kids has eaten gluten free. There is no celiac disease or true gluten allergy among us, but the signs of intolerance are there and I have happier kids when they avoid it. One of the most useful recipes in our household as we made and maintain the transition away from gluten is a basic béchamel sauce that can be used in place of cream of mushroom soup (and the like) in casseroles or simply as a white sauce, and is also adaptable as a gluten-free gravy. The sauce can also be made dairy free with a simple substitution. Recently, a relative shared that her son was diagnosed with celiac disease and as I planned to pass along this recipe to her, I thought others might also find it useful. So here it is! Basic white sauce, or béchamel, is made by melting butter, mixing in flour and seasonings to make a roux, and then adding milk or broth to make a sauce. Traditional béchamel has a dash of nutmeg, but this sauce uses dry mustard for a flavor enhancer. How thick the sauce is depends on how much of the oil/flour mix you use per cup of liquid. Thinnest sauces use 1 T. fat and 1 T. thickening agent, medium sauces use 2 T. of each, and very thick sauces use 3 T. of each. For a gluten free sauce we will use rice flour and cornstarch as the thickening agents. Milk is the traditional liquid but broth can be used for a dairy free version. The following is the recipe for a thick sauce, also used as a canned “cream of” soup substitute. 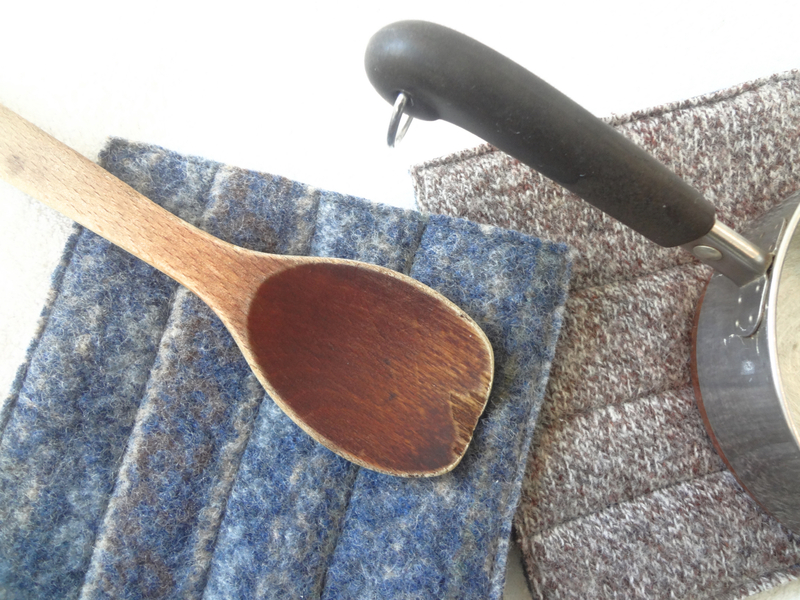 The basic steps would be followed no matter which thickness you are making. Directions for the thinner sauces and also gravy follow below. Melt three tablespoons of butter (or part olive oil/part butter) in small saucepan on lowest heat. Watch so that it does not boil or brown. Measure ingredients for step 2 while butter melts, but keep an eye on it! 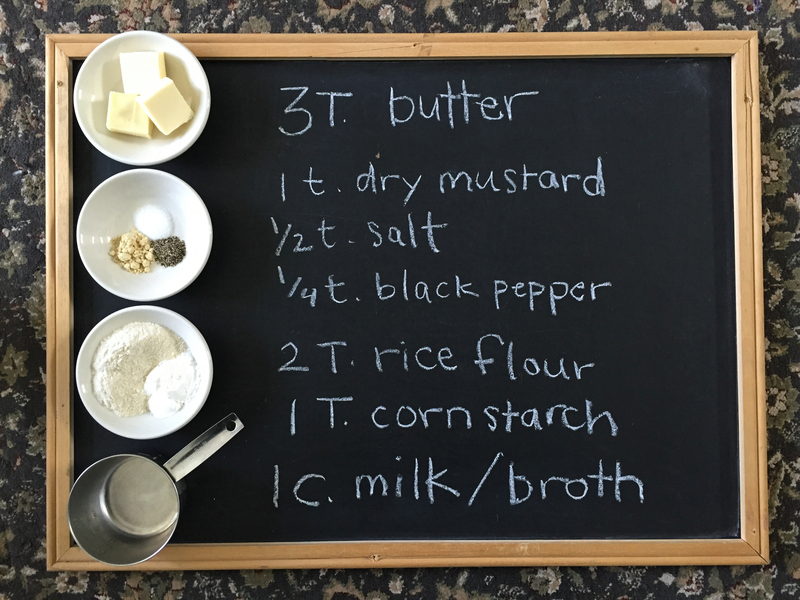 Measure 1 T. cornstarch, 2 T. brown or white rice flour, 1 t. dry mustard, 1/2 t. salt, 1/4 t. black pepper into a small bowl or measuring cup. Whisk into melted butter/oil all at once and cook for approximately 1 minute, stirring constantly. This is called a roux. 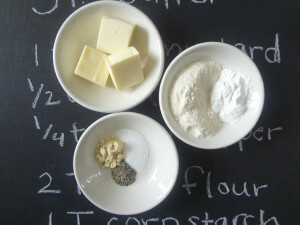 Turn heat up to medium and slowly pour 1 c. milk into roux, whisking constantly to maintain smoothness and prevent lumps. When all milk is stirred into the roux, heat until mixture begins to simmer and thicken. Stir occasionally. It will take several minutes to heat the milk, but it may thicken suddenly once milk is almost boiling. Remove from heat when thick. At this time you will have a thick, white sauce that you can use as a cream soup substitute in any recipe. Many recipes call for a can of “cream of…” soup, plus a soup can or two of water or milk. A soup can is approximately 11 oz. so you will add 1 c. + 3 T. of milk or water, whatever your recipe calls for. Upcycled, felted wool pot holders from WormeWoole, available here. If you need or want your white sauce to be dairy free, simply substitute the butter with olive oil or oil of your choice, and swap out the milk for chicken broth, canned or homemade. See my recipe for homemade chicken broth here. White sauce made with chicken broth does not taste as close to the canned cream soups as making it with milk does, but once you get used to it, you won’t miss the milk. It’s delicious! For gravy, use chicken broth or beef broth for your liquid and follow the same process, reducing the oil to 2 T. and the rice flour to 1 T. + 1 T. cornstarch and seasonings. If the gravy turns out too thick, add a little more broth or water. If you family tolerates soy, a dash of soy sauce added to the gravy enhances the flavor. 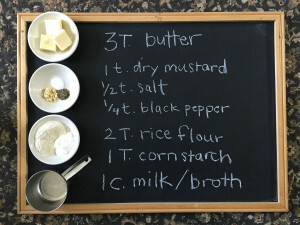 For a white sauce for vegetables, eggs, or any other use, make the recipe with 2 T. butter/oil, and 1 T. cornstarch + 1 T. rice flour, and seasonings to taste. For a thinner sauce, reduce them to 1 T. each. Grated cheese can be added for a tasty treat if dairy is not a problem. Northern Wisconsin fun in February! This little imp is one of my gluten-free muchkins. 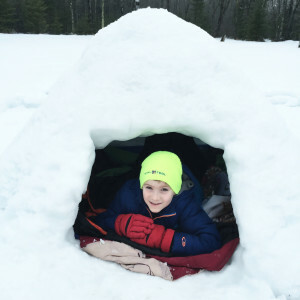 This is the kind of fun you can have in February in Wisconsin — build an igloo and attempt to sleep in it. Big brother made it until midnight but couldn’t sleep, so I had to go out and fetch little brother too. He was fast sleep and not at all cold. ❄❄❄ Little brother in the igloo the next morning before school. If this gluten free recipe would be helpful to you or others you know, please consider pinning it to Pinterest for others to find and use. Enjoy and keep warm!